While I am usually at the front desk greeting our patients, scheduling appointments, and making the office run as smoothly as possible, I also enjoy doing private consultations with patients to answer any questions they may have regarding procedures, insurance, and their financial options. 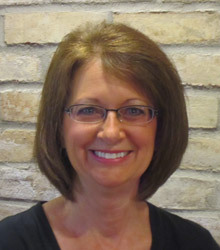 My dental career began in 1978, and I joined the Pioneer Dental team in 2002. I love working with our patients! Even though our job descriptions don’t change from day to day, each day is different and exciting because of the many patients we see. I feel very lucky to be able to say, "I love my job!" I have been in the dental field since 2007 and have been fortunate to be further trained at Pioneer Dental. Dr. Meyers is so dedicated to his patients and encourages us all to continue our education to better serve them. 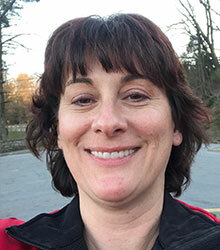 I have been and Administrative Assistant for most of my time here at Pioneer Dental, and I enjoy learning from people that are truly knowledgeable in dental services. I am originally from Superior but moved to West Bend in 2001. I have one child, a son named Trent. He is number one in my life, and we just enjoy being together! I like making a difference in our patients’ lives and educating them about their oral hygiene. As a Hygienist, I gather information about each patient’s oral health, and provide preventive and therapeutic care for our patients. Working with Dr. Meyers is great because he is truly compassionate about his job. He helps patients feel comfortable in the office and explains everything thoroughly. He likes to be on the cutting edge with the latest technology so he is able to provide the best care and dental services. I have a wonderful husband and lovely daughter. My family likes to travel, spend time with each other, and be outdoors as much as possible. I love scrapbooking and going on retreats with a few friends. I also try to be involved at my daughter’s school as much as possible. 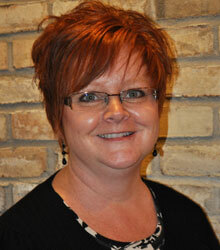 I began working as a dental hygienist in the summer of 1995, after I graduated from the University of Iowa. I began working at Pioneer Dental in April of 1997. I review all the necessary information about my patients’ oral health in order to provide the highest quality preventive and therapeutic care for them. It is very gratifying to counsel patients on home care, as well as the care we provide them here at our office. I enjoy the fact that I can make a difference not only in their oral health, but in their overall health as well. 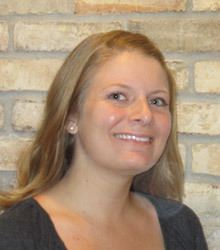 Dr. Meyers truly cares about the patients he sees and works hard to build a good rapport with them. I am a mother of three wonderfully spunky children and wife to a very active husband. I enjoy being active outdoors, traveling, and doing tae kwon do. I also spend a great deal of time helping out at my children’s school. I assist Dr. Meyers with dental procedures, inform patients about their treatment options, and follow up with them after their treatment is completed. I started working in the dental field in 1989 and have enjoyed my time working in this office since Dr. Meyers purchased the practice in 2002. I love meeting new patients and making them feel comfortable in our office. There is nothing better than when patients leave with a new, bright smile. Outside the office, I enjoy spending time with my grandchildren, family, and friends. Some of my favorite activities include camping, fishing, and gardening. 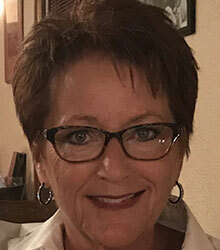 I assist Dr. Meyers during treatment of patients, welcome and interview new patients to our office, and am responsible for OSHA training and compliance. My dental career started in 1995, and I joined the Pioneer Dental team in 2008. I enjoy learning new, innovative dental techniques and working as a team to achieve our patients’ goal of excellent dental health. Dr. Meyers is professional, gentle, and takes the time to give compassionate care to all his patients. In my free time I enjoy spending time with my family, especially my granddaughter. I am passionate about creatively decorating my house, planning tea parties, and finding treasures at flea markets. I also belong to a book club and help lead the children’s ministry at my church. I assist Dr. Meyers with dental treatments. 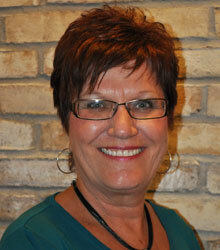 My dental career started after I graduated from MATC and became a certified dental assistant in 1984. I joined Pioneer Dental in May, 2013. I enjoy meeting all the patients and continue to learn updated dental procedures. 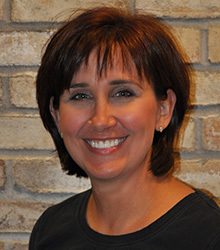 Dr. Meyers is devoted to pain free dentistry and is truly kind to every patient – of all ages. He explains what he is doing and why, and you are treated with respect. I have a wonderful husband and two great children, a daughter and son. We enjoy traveling and biking. I have become a football, baseball and basketball fan of all the Wisconsin teams. I love my flower gardens and try to make time to work out and spend time with my friends and family. 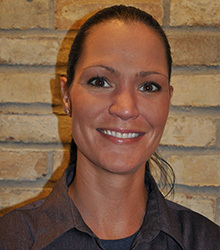 I began my dental career in 2012 after I graduated from Milwaukee Area Technical College with an associates degree in Dental Hygiene. I recently joined the Pioneer Dental team in May of 2014. I enjoy educating patients on their individual oral hygiene needs and helping them make an overall difference in their health. I especially love working with children and teaching them the proper techniques to maintain healthy teeth and gums. I grew up in Fredonia and moved to Port Washington in 2013. In my free time, I enjoy spending time with my friends and family. My favorite activities include camping, geocaching, and biking.